Beyern Gerade resolves this mix of complexities by modernizing a classic five spoke design with chiseled edges and refined details. For many generations BMW vehicles have looked great paired with a simple five spoke design, but decades of progressive design concepts have complicated this classic look. The Beyern Gerade resolves this mix of complexities by modernizing a classic five spoke design with chiseled edges and refined details. While not exactly retro, the Gerade keeps a classy feel and adds mechanical qualities updated for the 21st century featuring lifted edges and divided surfaces much like modern “I” series BMWs. The Gerade Rotary Forged® Wheel /RF™ Wheel is manufactured using a highly advanced production technique called Rotary Forging® /RF™. The rim of the wheels is forged at high pressure while the wheel is spun at high speed. This alters the molecular structure and enhances the strength of the alloy. The benefit is a much lighter weight than a regular cast wheel. Most importantly, the weight saving is in the outer rim of the wheel which dramatically reduces rotational mass and enhances vehicle performance. 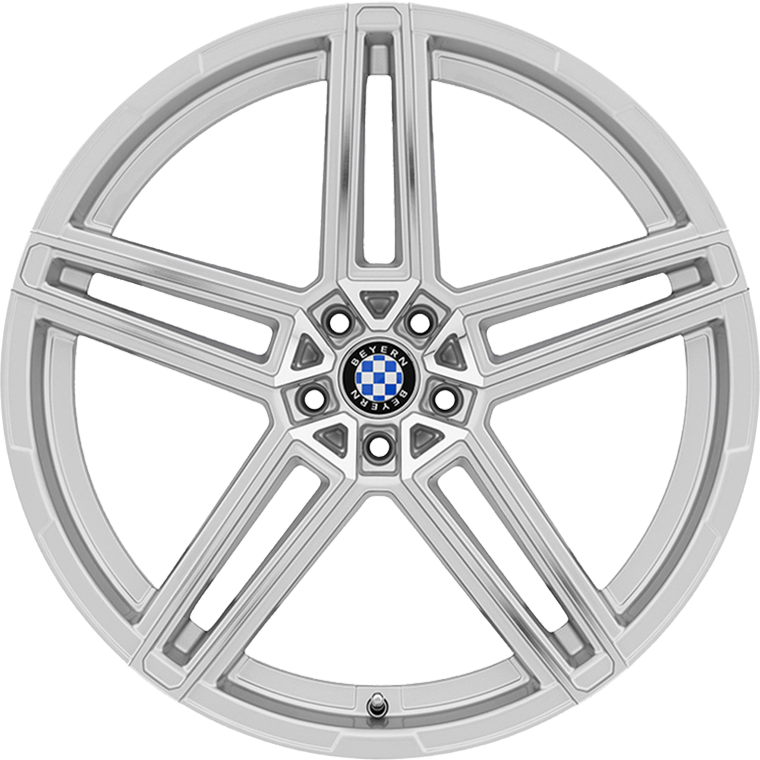 Beyern wheels are tailored in fitments perfect for BMW vehicles.